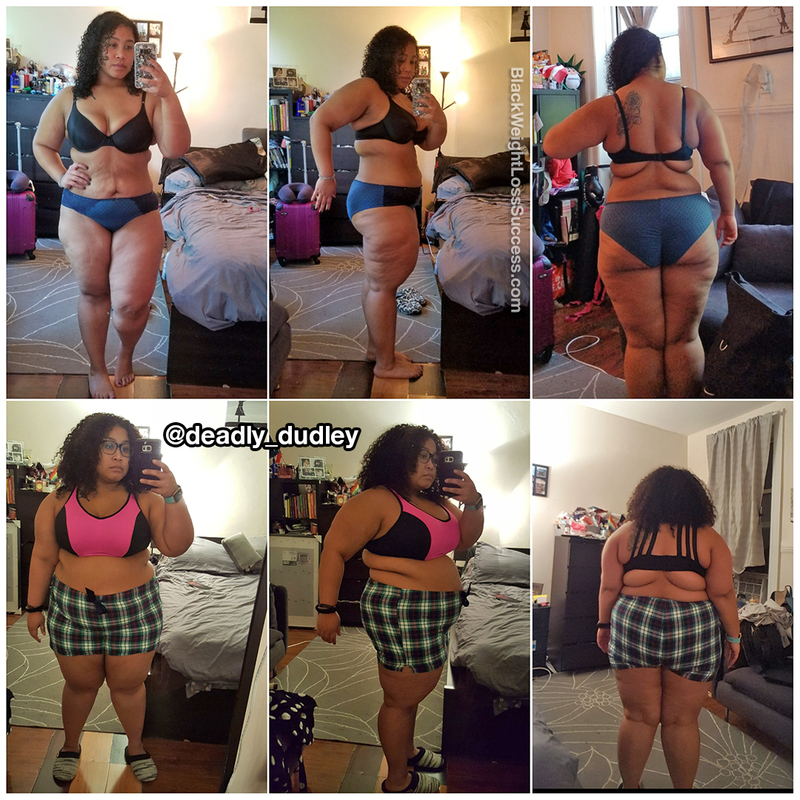 Transformation of the Day: Donesia lost 74 pounds with exercise and clean eating. 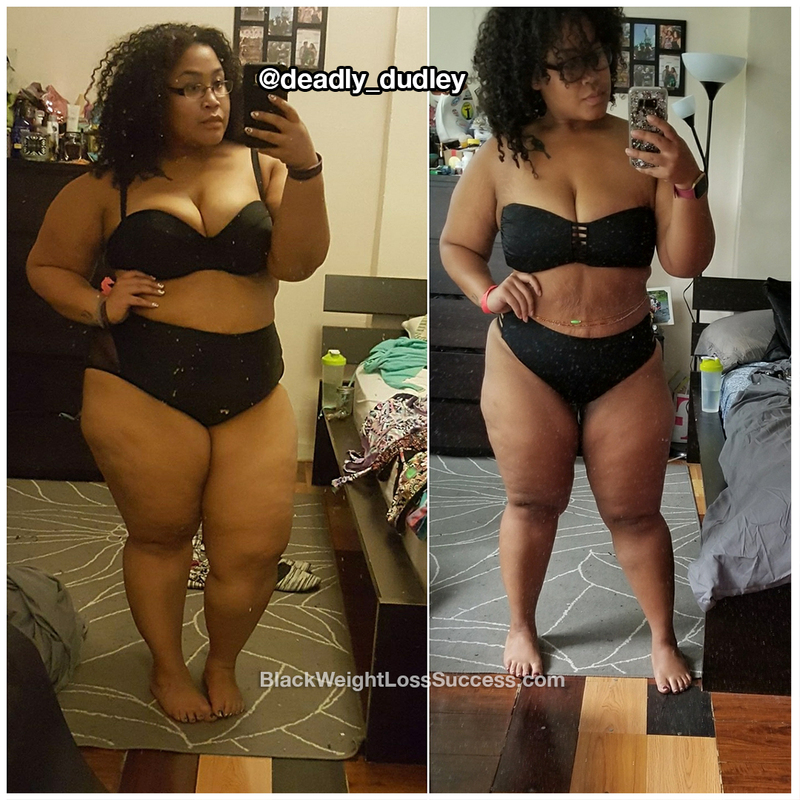 She turned 30 this year and wanted to transform her body before reaching the big 3-0. She cut out alcohol, stopped eating out and adopted a health and fitness focused mindset. Check out her story. My biggest motivation was my birthday. I turned 30 this year, so I had in my head that I wanted to completely transform my body before my 30th birthday. I wanted earn that smaller bikini. My family also motivated me to keep going. I knew that if my mom saw me losing weight, she would want to as well. I used to eat out at least one meal a day. When I decided on this goal, I completely cut out eating out and most alcohol. From January until June, I ate out a total of 8 time and went out for drinks once. My meals were low carb. They included protein and lots of fruits and veggies. I simply went back to the basics. I made alot of stir frys and used my crockpot at least twice a month. I meal prepped all my lunches and made protein packed fruit smoothies in the morning… even in the NYC winter. I love kickboxing, so I used my UFC membership and took all the classes I could handle. It was a fun way to keep me moving. I made a lot of friends at the gym, so they would hold me accountable. I usually workout 6 days a week. I do kickboxing Monday thru Friday, and yoga or some other type of workout on Saturday. My starting weight was 287 pounds and my current weight is 213 pounds. My height is 5’3″. 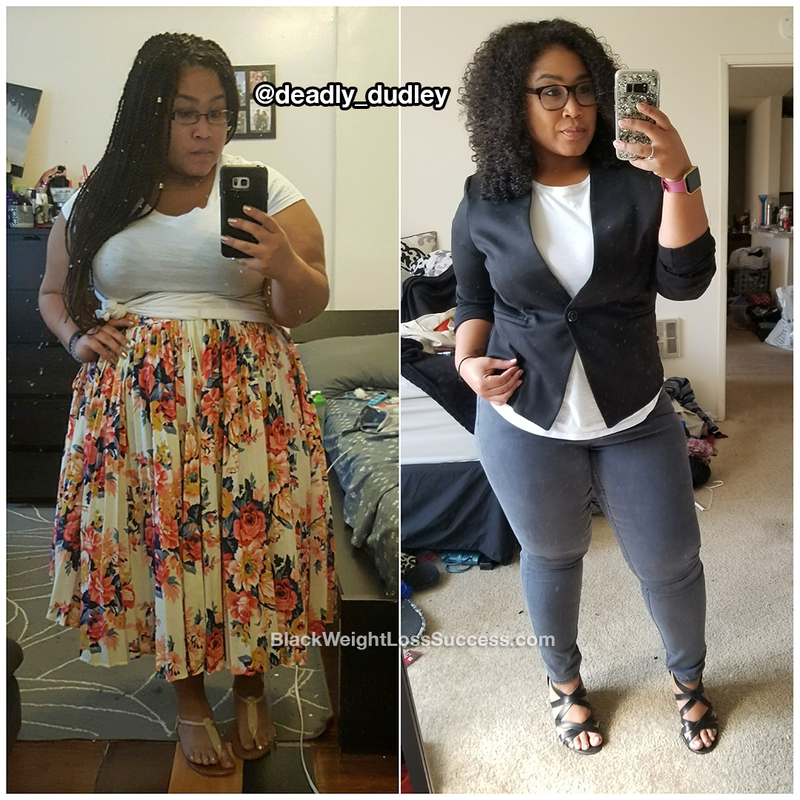 I started my journey on Janurary 1, 2017 and it took me 6 months to lose 73lbs. Weight loss surgery was not apart of my transformation. Just exercise and clean eating. The biggest lesson I learned was that you can’t get down on yourself when losing weight. Our bodies are ever changing. This is a journey, not an overnight thing. It’s an everyday challenge. Also, I learned that we should live. Weight loss is more mental than physical. So, you can’t restrict yourself and not hang out with friends because you have to go the gym. You don’t have to miss someones birthday because it’s at a bar. You just have to learn how to incorporate your new life and new habits into normal, every day life. You can’t live in a bubble. What advice would you give to other people who want to lose weight? The advice I would give is just start. If you’ve been thinking about it and you keep saying, “I’ll start next week, next month, next year.”… Just start today. Take small steps, which will later become huge leaps. Omg, at 53 it seemed like a serious challenge. I was up to a size 18/20, but ironically I had no health issues. I’d suffered a right knee injury 10 years ago and I stopped 🏃🏿‍♀️ running. I gained weight and my knees were hurting daily. I decided to take control and I started the Dr. Atkins Program and joined a boot camp workout. In three years lost 50 ponds. I am 🏃🏿‍♀️ running for miles six days a week! I’m wearing size 12’s and some 10’s. I like am so excited!